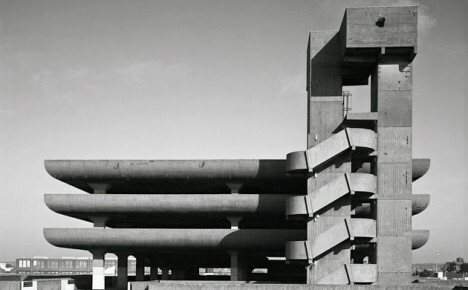 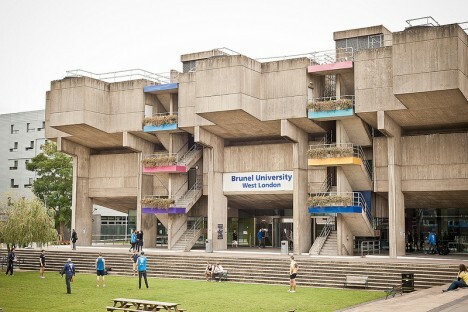 While the most theatrical Brutalist buildings remain in the former USSR, there are plenty more of these controversial concrete complexes around the world, and they draw both admiration and ire in Britain and the United States. While Prince Charles of Wales likes to call them ‘monstrous carbuncles,’ and sloppy Brutalist blunders certainly exist, many modernist concrete structures built between the 1950s and ‘80s are striking in their minimalism and solidity. 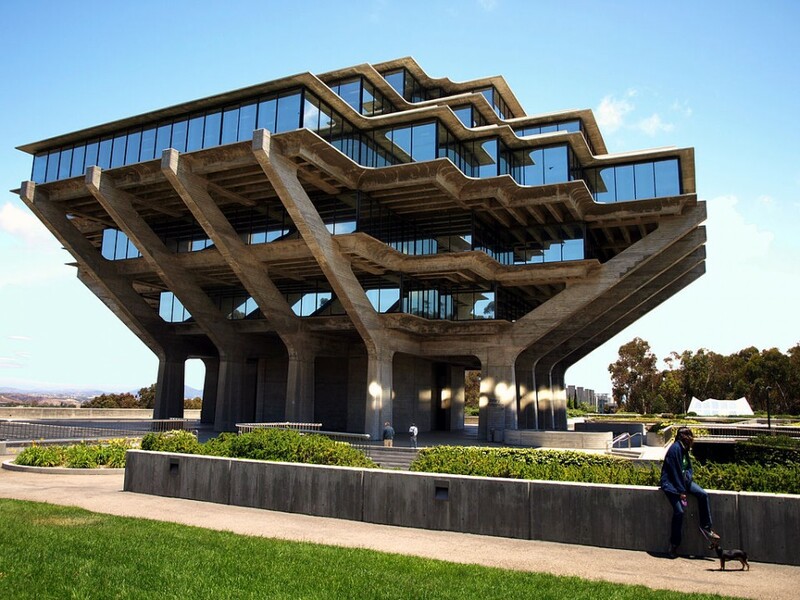 The Geisel Library at the University of California, San Diego (named for the author best known as Dr. Seuss) was made of reinforced concrete to save money, which enabled a more sculptural design. 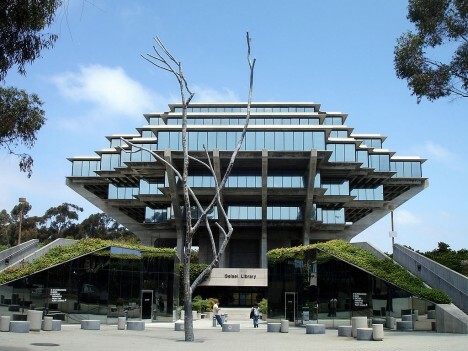 The 8-story structure by William Pereira has two subterranean levels and was “deliberately designed to be subordinated to the strong, geometrical form of the existing library” on the campus. 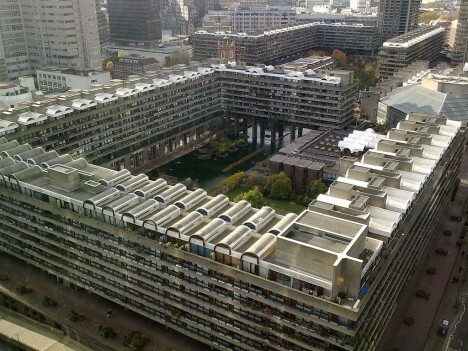 This residential complex built in the ‘60s and ’70s stands right in the financial district of London, one of the few examples of British brutalist architecture that’s still mostly intact. 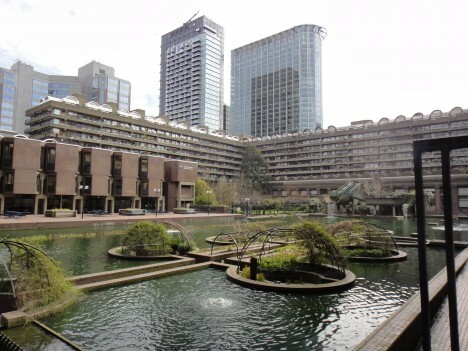 There are three tower blocks and 13 terrace blocks positioned around a lake and green squares; the towers are each 404 feet tall. 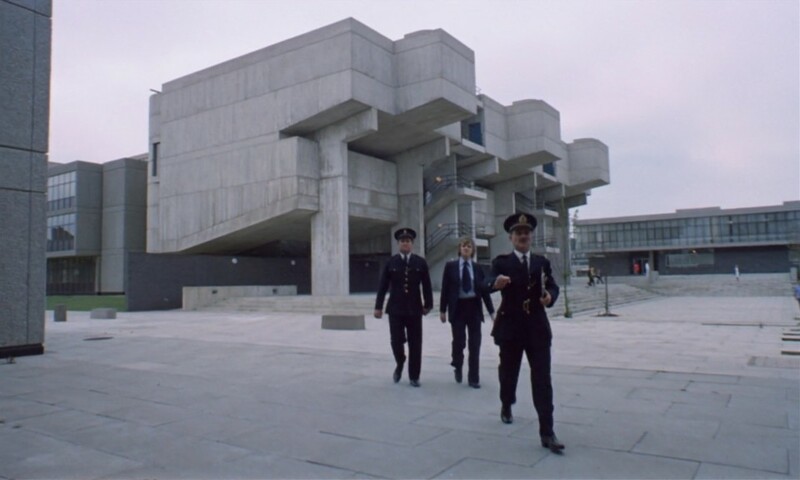 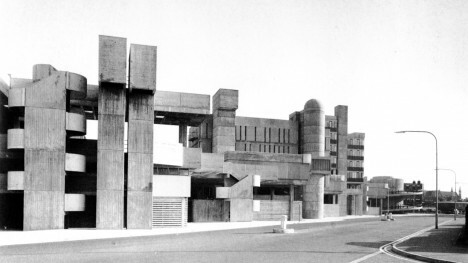 Built in the ‘60s and designed by Richard Sheppard, Robson & Partners, the Brunel University Lecture Center was one of two ‘high Brutalist’ structures prominently featured in Stanley Kubrick’s film A Clockwork Orange. 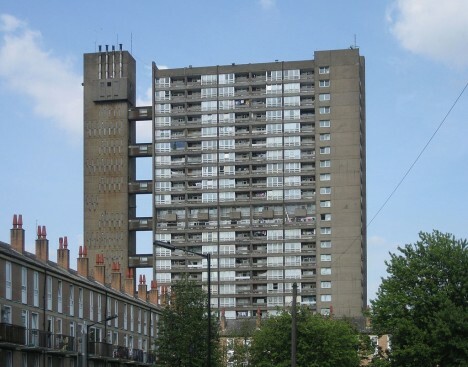 Balfron Tower at the Brownfield Estate, an area of social housing in East London, is often considered the sister building of Trellick Tower. 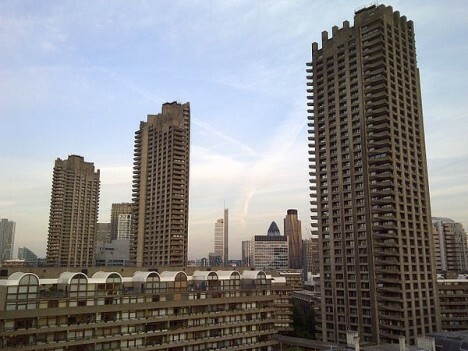 Designed by Erno Goldfinger in 1963, it contains 146 residences and features a separate elevator shaft with skybridge connections on every third floor.